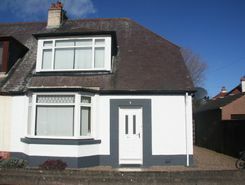 Spacious, modern and light - refurbished 3 bed semi-detached property, in beautiful condition in Montrose, N-E Scotland between Aberdeen and Dundee. Central, quiet, residential area with only a few minutes walk to the town centre. Private Garden. On-street parking. Double Glazing.